Here is a link to the article in the Princeton Sun about the third anniversary of Princeton Cornerstone Community Kitchen, and the Sun used this photo, with Chris Cox and a university volunteer. 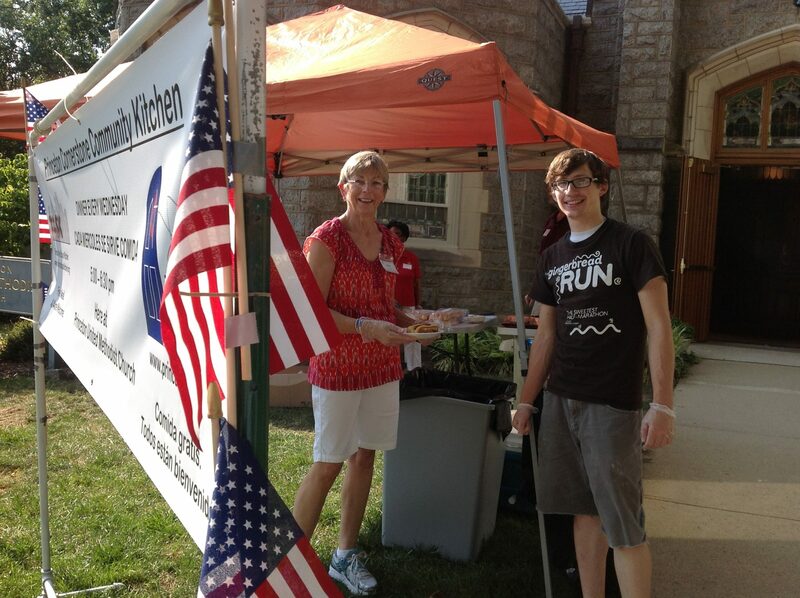 Who remembers July 4, 2012 when — because TASK was closed for the holiday — we brought out the grills and cooked an Independence Day feast on the lawn. So much progress since then. As we post this, today is another Wednesday, folks are getting ready to welcome today’s visitors, and you can bet the decor will be in red white and blue! Soon — there will be a free bus to take our guests home after dinner. This entry was posted in Cornerstone Community Kitchen and tagged Fourth of July, Larry Apperson, Princeton Sun, TASK. Bookmark the permalink.